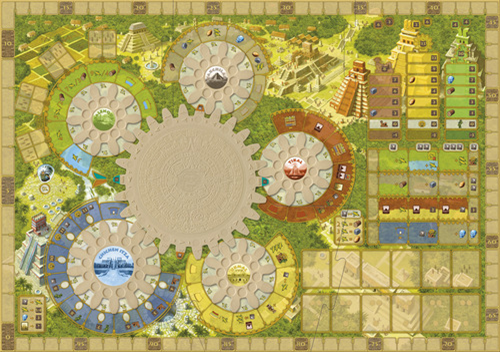 During a turn, players can either (a) place one or more workers on the lowest visible spot of the gears or (b) pick up one or more workers. 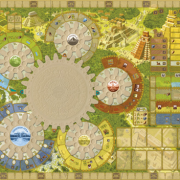 When placing workers, they must pay corn, which is used as a currency in the game. 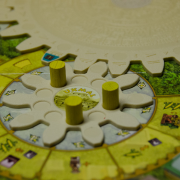 When they pick up a worker, they perform certain actions depending on the position of the worker. 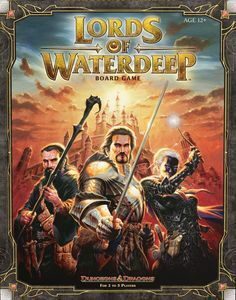 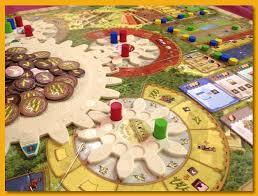 Actions located “later” on the gears are more valuable, so it’s wise to let the time work for you – but players cannot skip their turn; if they have all their workers on the gears, they have to pick some up. 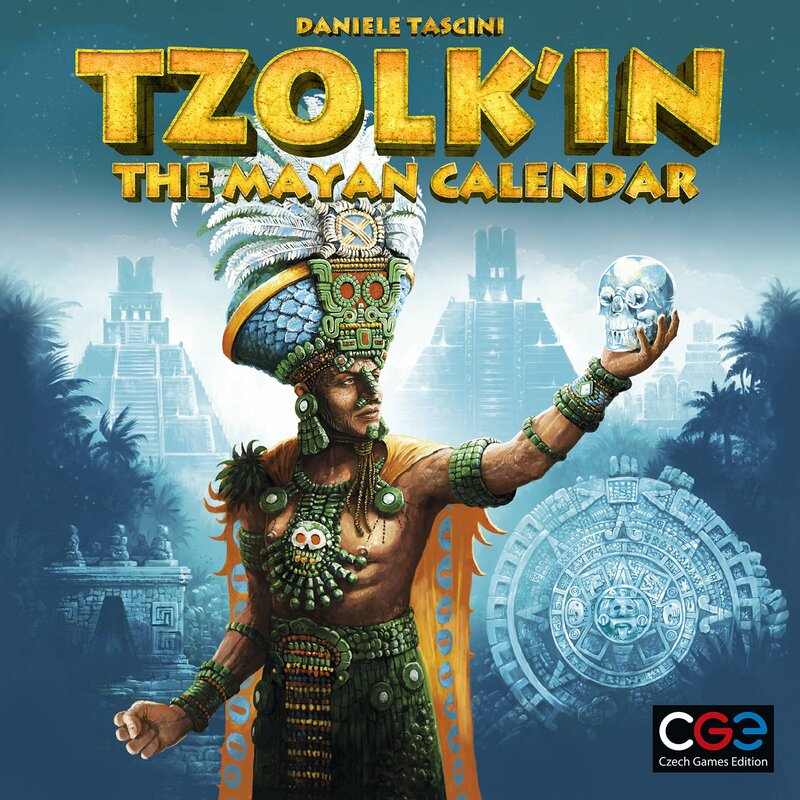 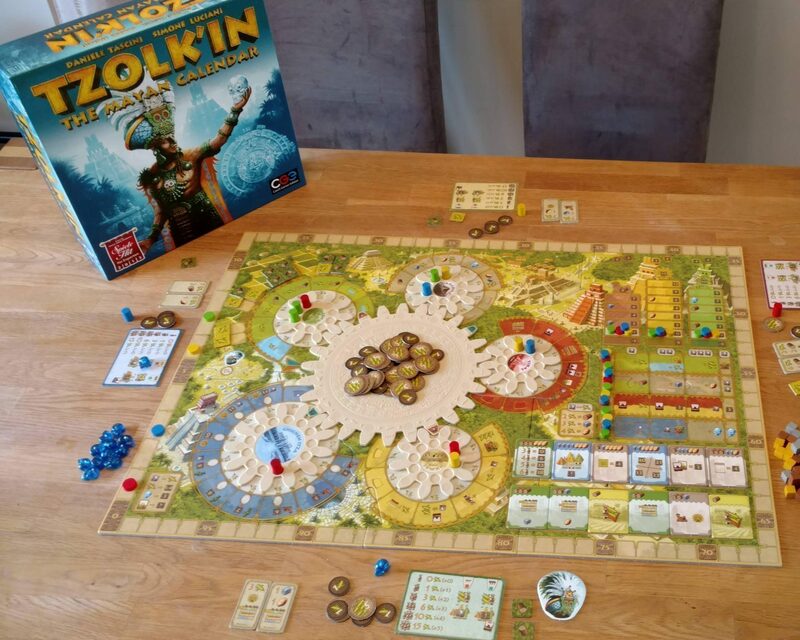 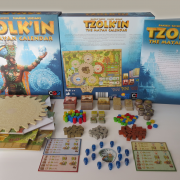 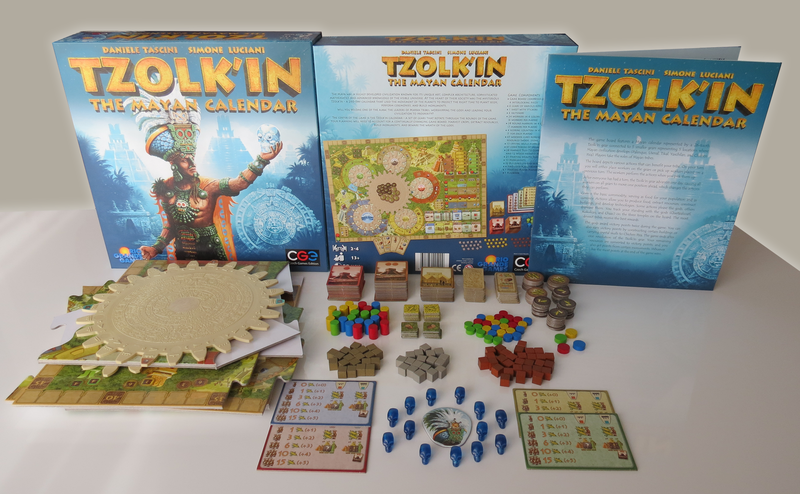 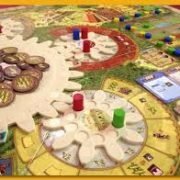 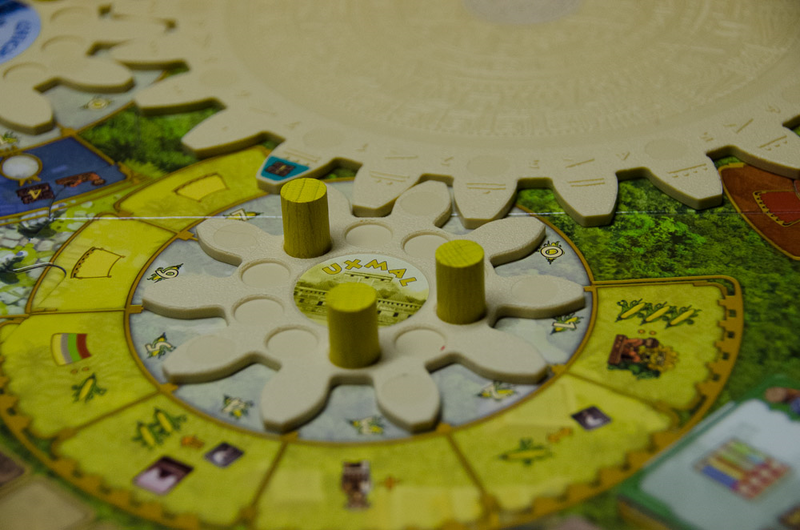 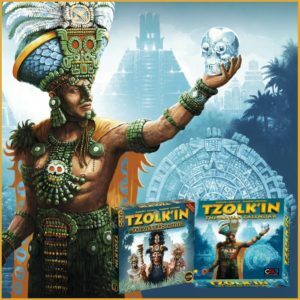 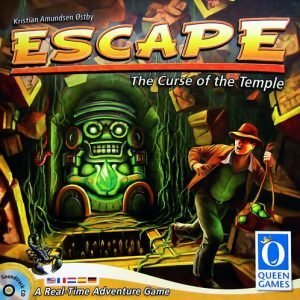 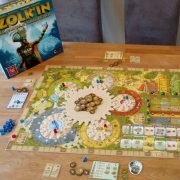 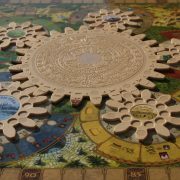 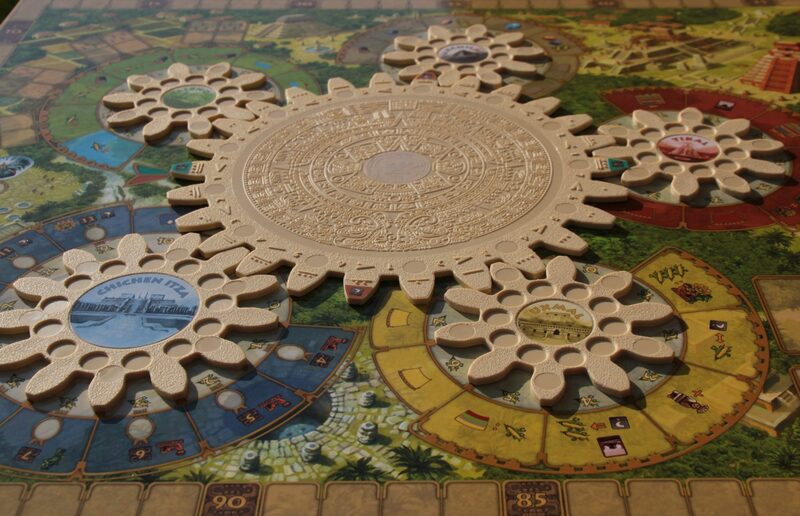 Tzolkin is refreshing a worker placement game where sometimes, having less workers can actually be a better option than having more.